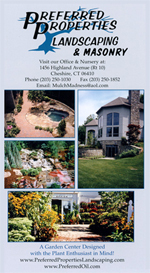 Preferred Properties Landscaping & Masonry: Nursery, Outdoor Lighting, Mulch, Gardening, Sod and more! 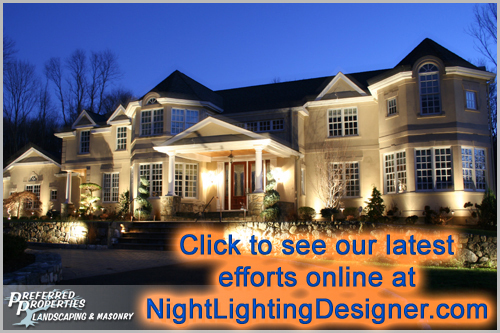 Landscape Lighting Professional shines the light on manufacturer products, fixture types, night lighting photography, residential and commercial lighting applications and the thoughts of Professionals in Outdoor lighting. Have you ever considered living beyond the walls of your home? We have. We are truly outdoor living specialists. Designing and building extensive outdoor environments including outdoor kitchens,outdoor fireplaces and poolscapes of great magnitude. 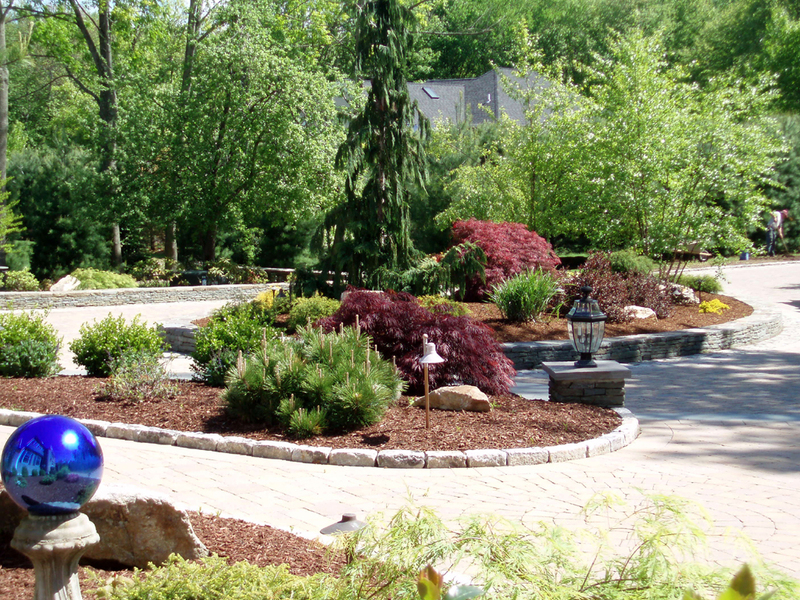 Preferred Properties Landscaping have been innovators in creativity and style with their award winning landscapes throughout Connecticut. We have over 24 years of experience in residential design build landscaping. Preferred Properties staff runs the gamut and includes true horticulturalists, certified landscape designers, stone setting masons, brick masons, paver setters, plantsmen and coordinating nursery staff to bring projects to realization. We have always prided ourselves on our staff and their continued efforts to exceed our customer’s expectations. Over the years, Preferred's design build imagination and construction have been sought out. Our landscaping work and reputation are among the best. From nursery plant installations to privacy plantings, patios, pools and outdoor living projects with limitless features, Preferred Properties' staff have always valued our customers no matter how big or small the job is. We pride ourselves on our nursery staff being ready and willing to help you with any questions or concerns on your project. Preferred Properties is proud to announce that our five jobs have been submitted for National Recognition! 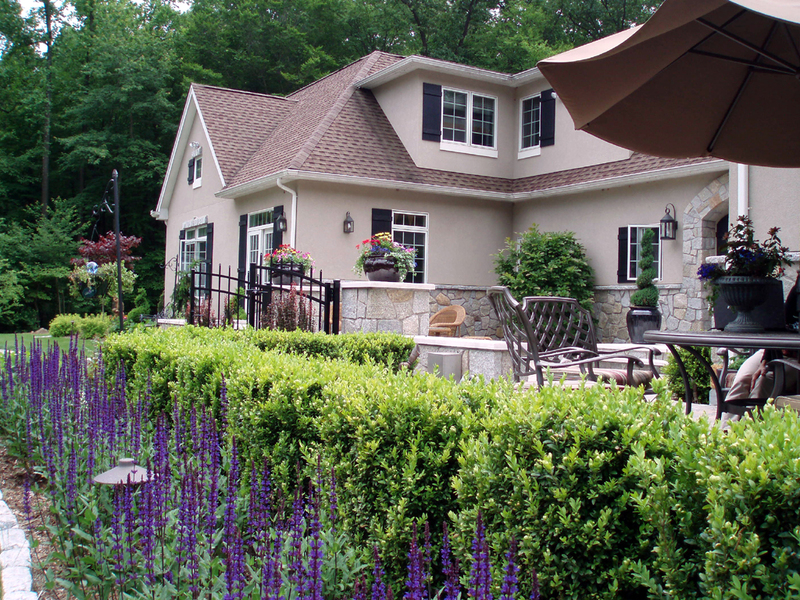 During the course of a project Preferred Properties Landscaping serves as and coordinates everything including: landscape contractors, landscape designers, nursery professionals, professional plantsmen, mulching experts, masonry contractors, hardscape installers, outdoor lighting designers, licensed low voltage lighting installers, fencing coordinators, outdoor kitchen builders, drainage experts, granite installers, outdoor fireplace builders, contract estimators, permit managers. We are project managers, general contractors, a garden center, and best of all, your grand illustrator... we are so much more than a landscaper! When it comes to outdoor decisions, Preferred Properties Landscaping and Masonry is competent in all aspects of landscaping, masonry, lighting and outdoor living. Our experience enables us to work with the best tradesmen and subcontractors in every aspect, delivering you the project you deserve. Preferred Properties' designers often go above and beyond to help coordinate subcontractors and guide workers when timelines are required. Preferred Properties Projects recognized in Techo-Bloc standards of excellence program. With today's plant choices and diversities, hardscape colors, textures and styles, it is essential that a landscape designer is present to help the homeowner. Preferred Properties Landscaping assigns a designer to each project. The person who meets with you at the first free site analysis, is the same designer who presents the landscape master plan and offers you limitless options. This same designer manages the bids and coordinates the project in phases at your discretion. This same designer walks you through our nursery to show you the plant materials available for your project, and appoints the staff and runs the job ALL FOR YOU. 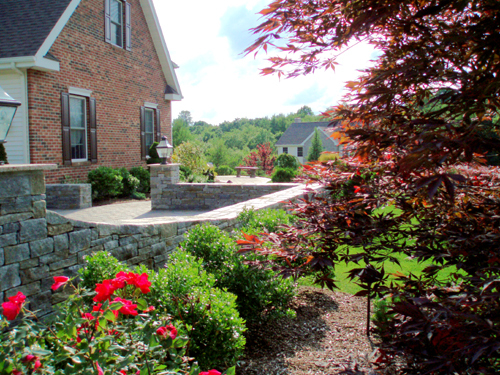 Preferred Properties Landscaping is more than a landscaper. We are here to help you create the landscape of your dreams, providing a staycation built for you to enjoy. Preferred being busy Spring, Summer and Fall. GREAT LANDSCAPES AND OUTDOOR LIVING. Connecticut Homes & Garden Magazine. WFSB Channel 3's Better Connecticut, transforming homes with the flick of a switch! 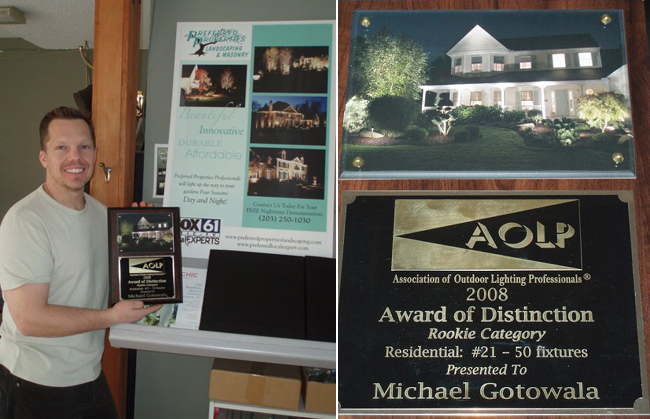 Preferred Properties is proud to be FOX 61’s Local Landscape, Lighting, Masonry, & Nursery Expert. some of our outstanding projects.